Another hot weekend brings more hot car events to the Kansas City area. 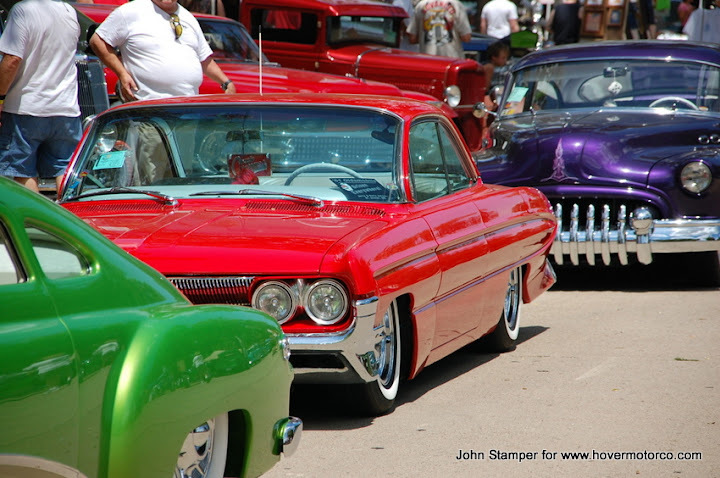 The Puddle Jumper Days car show has been an Odessa tradition for years, so if you’re east of town, you’ll want to check that out. Abundant Life Church in Lee’s Summit is having a car show, so there’s something for you southerners. And the Falcon Club will be at the City Market, so that’s something for the folks in the heart of the city. Cruise nights are everywhere. I usually hit the downtown Parkville cruise, but there are others in Harrisonville, Raymore, Blue Springs, and Lenexa, just to name a few. Or hit one of the great local short tracks for some racing action. The entire Kansas City car show, car cruise, and car racing schedule for this weekend is listed below. Awwww, there’s nothing car-related to do around Kansas City this weekend. NOT! (See how trendy I’m becoming with all the lingo and such). Actually, there’s all kinds of stuff to do. If you like cruises, there are a couple really big ones Saturday night in Belton and Liberty. If you like car shows, the annual event that the Genuine Chevy-GMC Truck Club puts on at the Agricultural Hall of Fame is a must-attend event. Or, go watch some dirt track racing at Lakeside or Thunderhill. Plus, there are monster trucks in Wheatland! And if you like traditional hot rods and customs, the Leadsled Spectacular in Salina is one of the biggest shows of its kind. Yeah, it’s a bit of a drive from Kansas City, but well worth it. They even have vintage drag racing at this one. The full schedule of Kansas City car shows, car cruises, and car races for this weekend is in the calendar below. Na na. Na na. Nananananananana! I’ll bet reading that sent chills down your spine. Why? It’s the Jaws theme, of course. Scary stuff! As we know, one of the last things that victims of the massive shark ever see is the ominous dorsal fin skimming over the surface of the water. 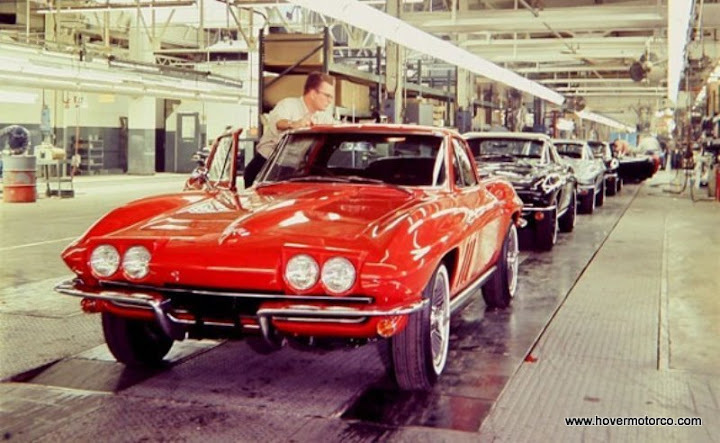 Which brings us to today’s automotive theme—fins. Usually they aren’t as deadly as an attack from a great white shark (although people have hurt themselves and even died by banging into a car fin), but they’re still an interesting aspect of classic automotive styling, especially in the late ‘50s/early ‘60s. I decided to visit a car cruise that I’ve never been to before, so we loaded up the truck and headed to Bonner Springs and the Sonic cruise hosted by the Genuine Chevy-GMC Truck Club of Kansas City. It was hot and sunny out there late Saturday afternoon, and the boiling temperatures probably kept some of the cars away. It was a fairly light crowd. But those who were there seemed to be enjoying the music, snacking on mozzarella bites, and savoring cool confections from Sonic’s ice cream menu. Where are you going to be this weekend? Well, if you love cars, and you live in the Kansas City area, there are lots of great choices. The Outta Control Hot Rods Cruise in Platte City is turning into a must-attend event. The Corvette Club of Kansas City is setting up in the Zona Rosa shopping area. Or check out some Model A Fords at the City Market. And if you like to watch your cars in action instead of sitting in a parking lot, you can’t go wrong with races like the ones at Lakeside Speedway Friday night. The full Kansas City car show, car cruise, and car racing schedule is listed below. At first, you might not think that an annual church car show would be that big of a deal. But if that's the case, you've probably never been to the Vineyard Church "Grand Classic" Car Show, which is held every July just north of Smithville. Organizers clearly are doing a good job of promoting this event, because they are getting a large selection of quality cars and trucks. Even with the toasty temperatures, the cars made this a pleasant place to be. You may have noticed that the MLB All-Star game is in Kansas City this week, and Chevrolet is a major sponsor. I’ve been seeing Suburbans with manufacturer tags and the full decal packages all over town over the last few days. Chevy is involved in a big way. 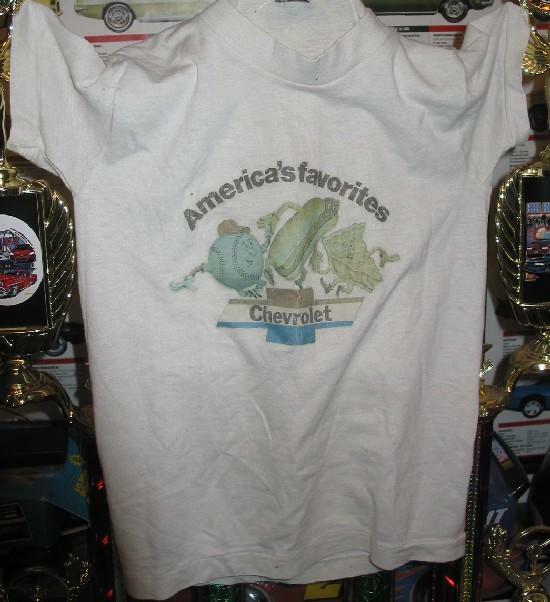 Of course, it makes sense, given the traditional tie in that Chevrolet has with baseball in general. And that has a lot to do with one of the most successful ad campaigns in history—Baseball, hot dogs, apple pie, and Chevrolet. Today’s Thursday Drive-By has some cool stuff, and a couple of self-serving links that are still cool. We’ve got a bit of vintage racing, with a great story about undercover drivers from the Midwest Racing Archives. We’ve got a little automotive mayhem with a video compilation. There are some awesome old drag racing photos from the Jalopy Journal. And a famously hideous Cadillac returns to Le Mans. 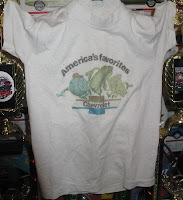 I’m also including a couple of links from Dale Wilch’s Man Cave and Tallant’s Hot Rod Shop. These two get special treatment, because they are the first two paying sponsors ever on the Hover Motor Company blog. I am very proud that companies are starting to take notice, and very excited to have these folks on board. I’ve written stories about both of these businesses in the past, and am honored that they chose to take a chance with me here. Wednesday is Independence Day, and there are lots of great flag-waving car events throughout the week. This is one of the busiest Wednesday calendars ever, with car shows from Raymore to Topeka. You have the day off anyway. Might as well do some car stuff—right?! The weekend is just as busy, with a full schedule of local cruises and car shows, plus the highly anticipated annual fireworks show at Lakeside Speedway after the races. Or, if the heat is too much for you, watch a little Daytona on your television. The entire Kansas City car show, car cruise, and car racing calendar is listed below. Let's face it. If you have a car show during one of the hottest days in the history of June, schedule it during the absolute hottest part of the day, and locate it in the middle of an un-shaded asphalt parking lot, you're not going to get much of a car count. To wit: the Centennial Car Show hosted by the North Kansas City Rotary Club. This thing was Saturday from noon to 4:00. I almost can't think of a more miserable scenario.